You walk into the model home with a basic specs sheet in hand; you notice the beautiful solid wood floors, well-crafted fireplace mantle, the granite counter tops, the intricate tile backsplashes, you hear the steady hum of the air conditioning unit and you think, ‘wow I can buy this for $400,000?’. However as you wind your way through the house, drooling over the craftsmanship, eventually you hit a display table that has a new specs sheet, one that looks very different than the basics specs sheet you have in hand. The list may even go on….. Suddenly your affordable $400,000 price tag is quickly approaching $500,000 and your hopes are crushed. What many people do not realize is that even when you are building a home on your own lot, many home builders still work this way. The price you are initially quoted is a base price. 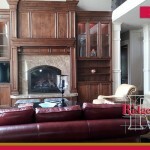 You can add custom amenities to the home however each addition will cause that base price to go up. When it comes time to sign that final contract your home price can be tens of thousands of dollars more than what you were anticipating. Another common strategy is for contractors to establish base price ‘ballparks’ using historical averages for the various costs of a home construction project, and in some cases assign allowance values to the cost break down without even having the benefit of a complete and comprehensive design to achieve real pricing with. The tendency, of both the buyer and the builder, is to keep these prices low. As a result the allowances often fall short of fulfilling the buyer’s expectations. 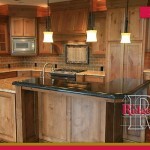 Ridgecrest Homes works with you from design through construction. We are confident that pricing a home construction projectwithout a complete and comprehensive design is like trying to bake your first cake without a recipe. 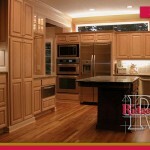 When working with us you are not given a price tag until we know exactly what you want. From that initial pricing, adjustments can be made to find that perfect balance between your financial goal, your wants and your needs.